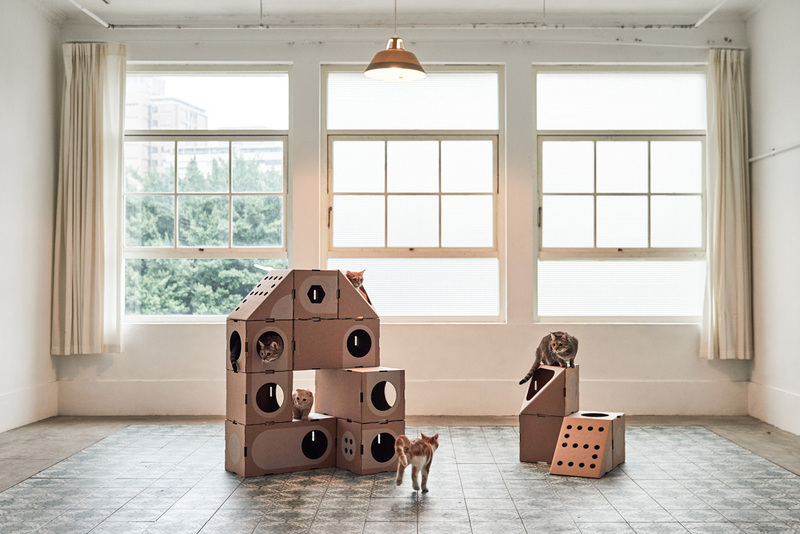 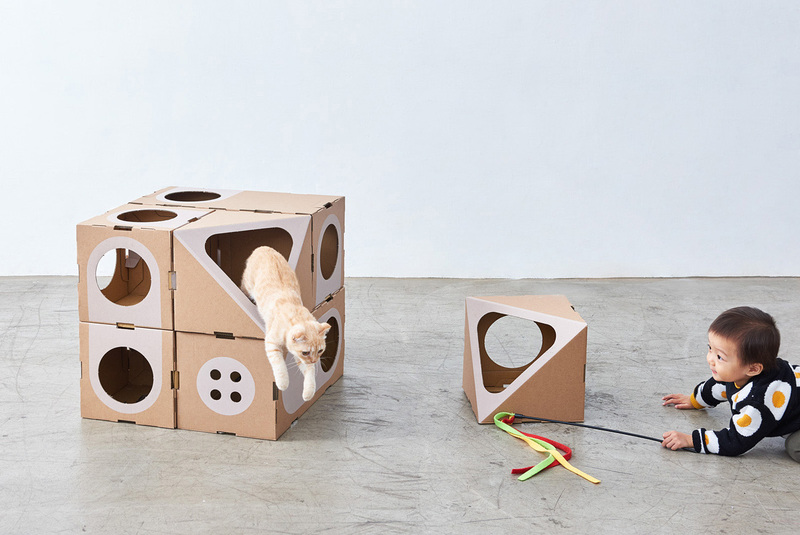 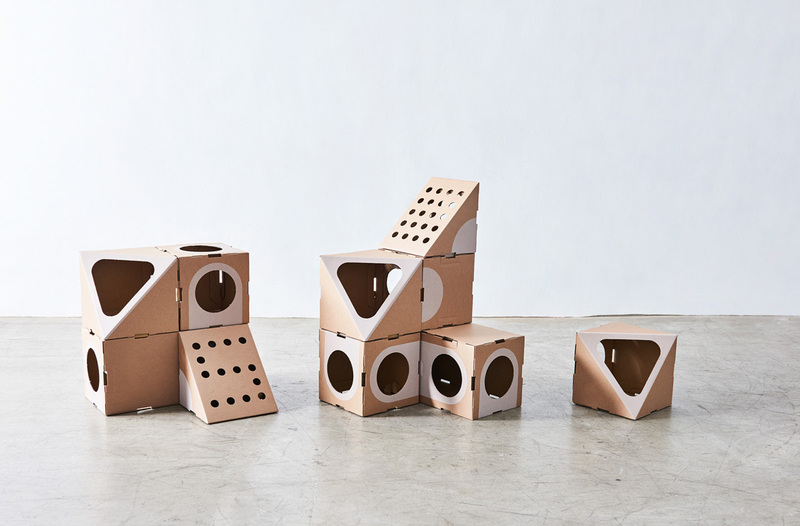 Taiwan-based design studio A Cat Thing have created a new modular collection of cat litter box furniture that’s made from cardboard. 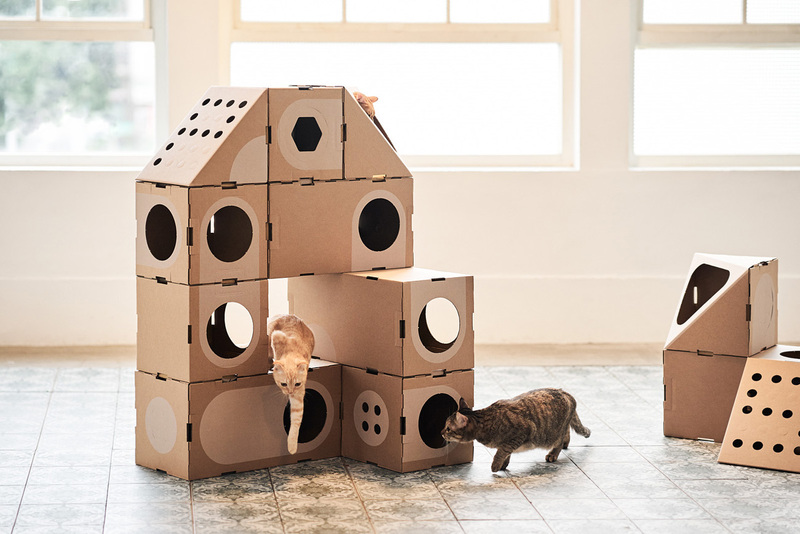 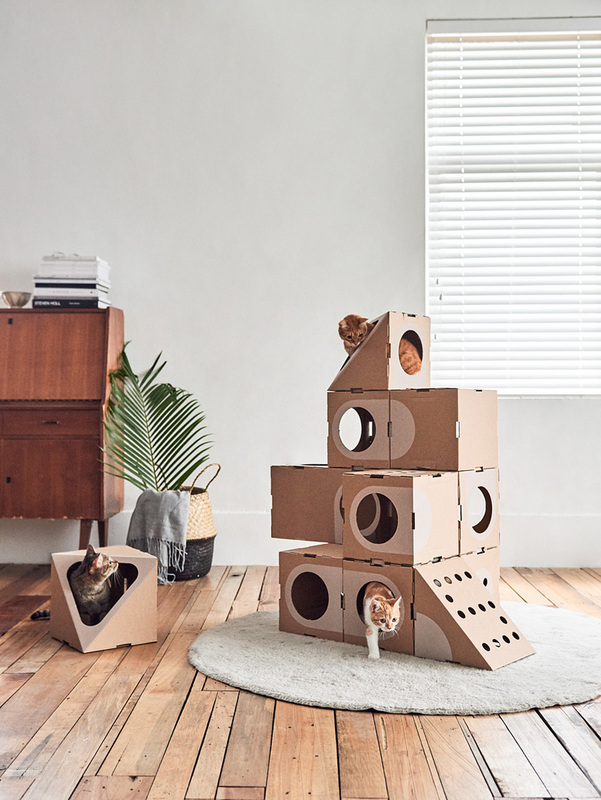 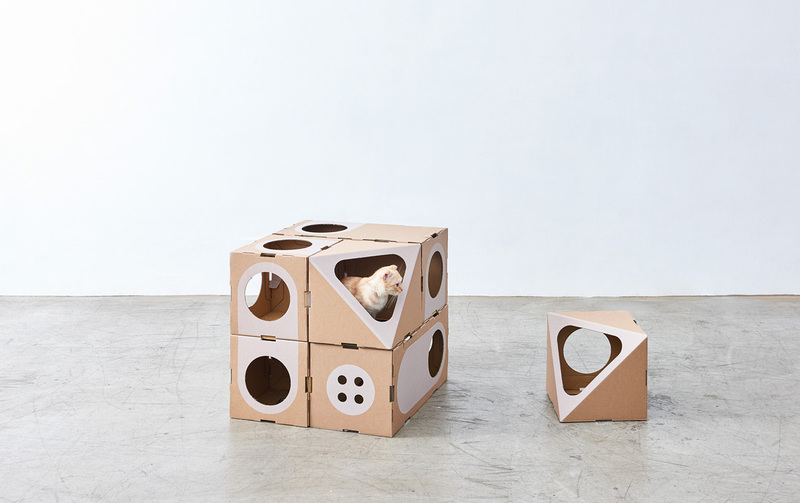 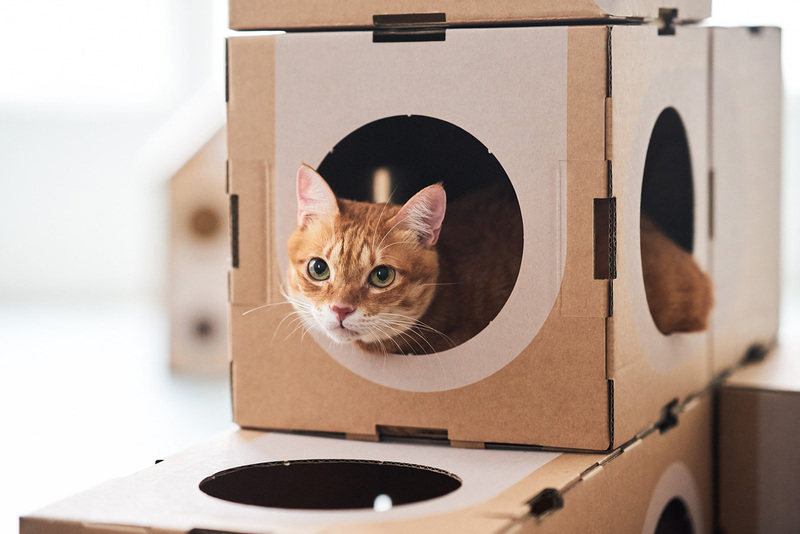 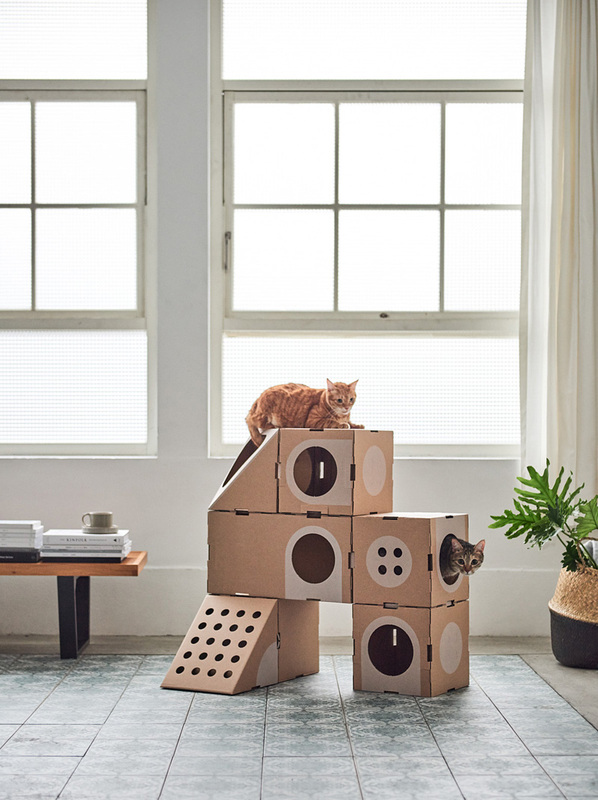 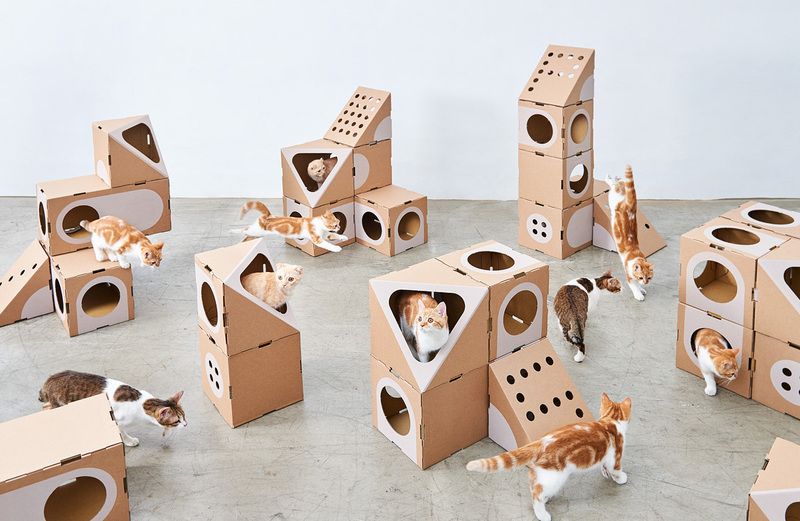 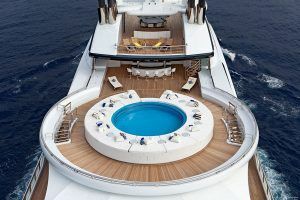 The designs, which come in a variety of shapes like a room, hall and slope, can be linked together to create towers that allow cats to climb and hide in. 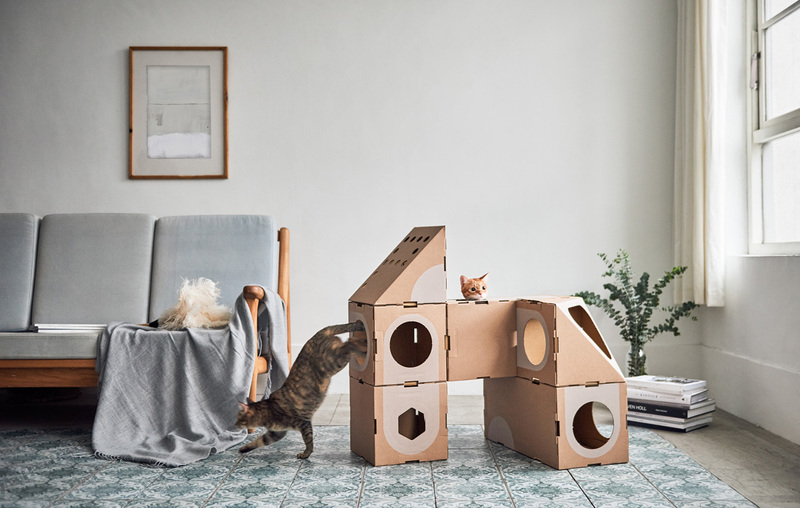 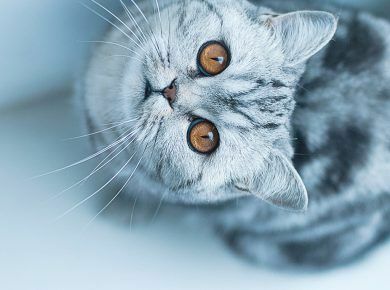 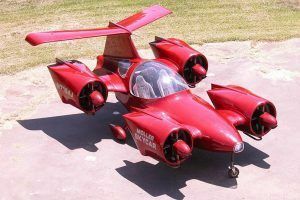 By building the different pieces, cat owners are able to build a little micro-architecture compound that belongs to the family feline. 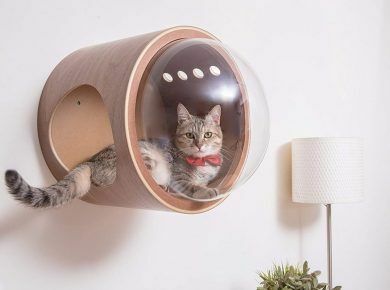 This is a great example of modern cat furniture but if you need some more variants don’t hesitate to check our other posts Kitty Kasa collection and CATable by Ruan Hao.